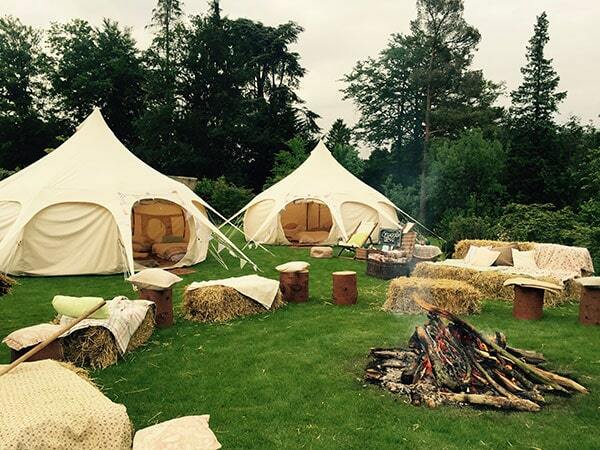 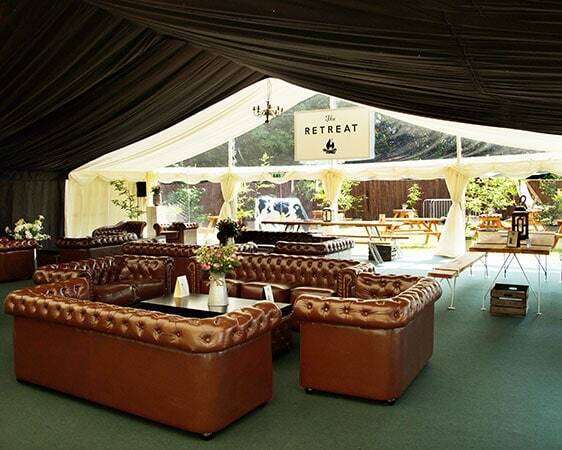 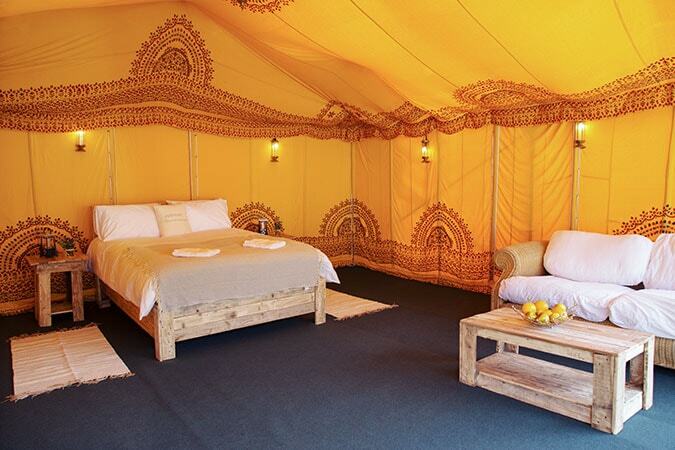 Book from a range of fully furnished accommodation featuring Bell Tents, Lotus Belles, and opulant Safari Tents. 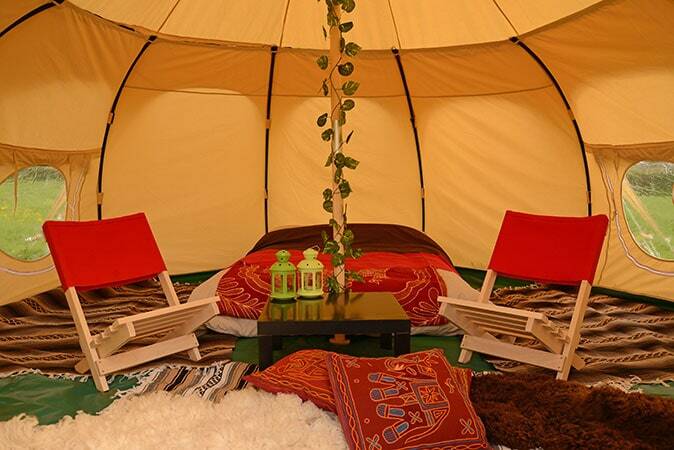 Takes glamping to another level! 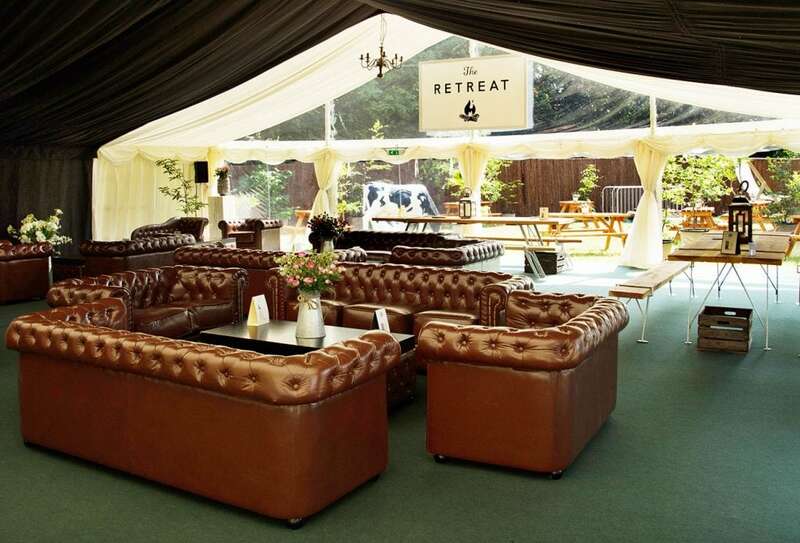 Online booking only (You must have a ticket). 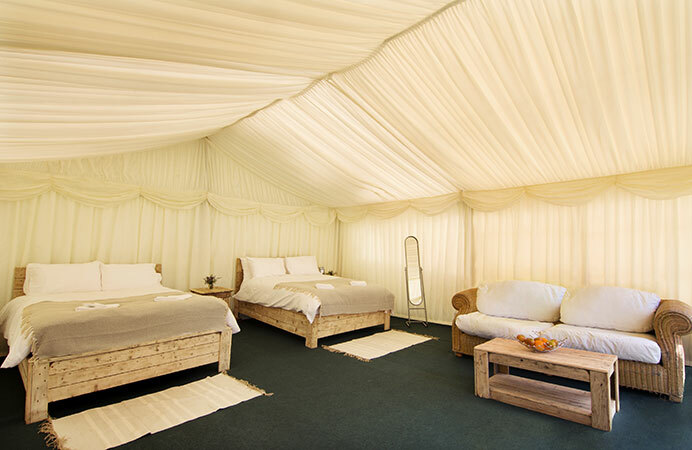 For general enquiries call 01458 460010 / 01458 460012 alternatively send a message from our contact page. 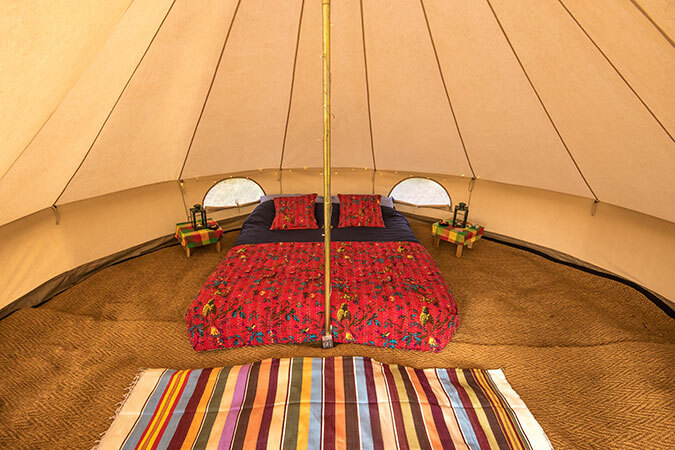 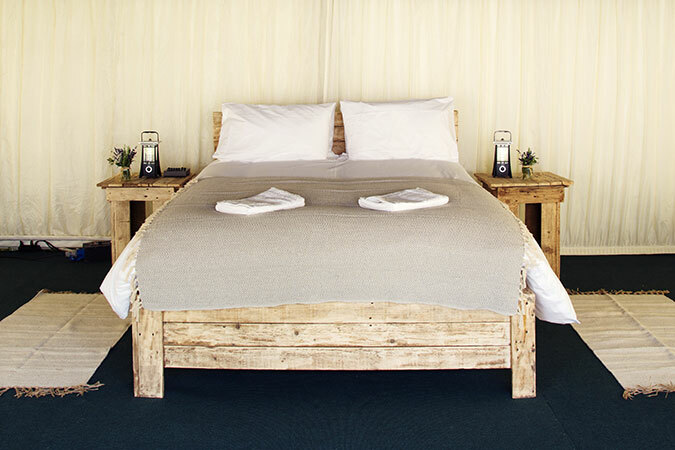 The bell and Lotus belle tents benefit from memory foam mattresses, and the Safari tents feature solid wooden king size bed frames with quality sprung mattresses and Egyptian cotton bedding.